Anthony Deane Rapp is an American stage and film actor and singer best known for originating the role of Mark Cohen in the Broadway production of Rent in 1996 and later for reprising the role in the film version and the Broadway Tour of Rent in 2009. He also performed the role of Charlie Brown in the 1999 Broadway revival of You're A Good Man, Charlie Brown. Rapp was born in Chicago, Illinois, the son of Mary Lee (née Baird) and Douglas Rapp. After his parents' divorce, he was raised by his mother, a trained nurse. Rapp attended high school at Joliet Central High School in Joliet, Illinois and theatre camp at Interlochen Arts Camp. In junior high school, Rapp won numerous awards for his singing. Rapp's brother is playwright, novelist, and filmmaker Adam Rapp. Rapp first performed on Broadway in 1981 in the flop The Little Prince and the Aviator, a musical based on Antoine de Saint-Exupéry's novel The Little Prince. The show closed during previews. He also appeared in the 1987 movie Adventures in Babysitting, which was directed by Chris Columbus. Columbus would later direct Rapp in the film version of Rent. He has appeared in several movies and Broadway shows, most notably as intellectuals. His notable work includes such films as Dazed and Confused, A Beautiful Mind, School Ties, Road Trip, Six Degrees of Separation , An American Family, Danny Roane: First Time Director and You're a Good Man, Charlie Brown. Rapp is probably best known for playing Mark Cohen in the off-Broadway and original Broadway casts of Jonathan Larson's musical Rent. For his audition for the musical, Rapp sang R.E.M. 's "Losing My Religion", and received his callback in September 1994. He reprised that role in the film adaptation, which was released on November 23, 2005. Rapp has embraced his role as an unofficial spokesperson for the musical and has given numerous television and print interviews regarding the show and its development. Some of Rapp's photographs from rehearsals of Rent have been published. In 2000, Rapp released a solo CD, entitled Look Around. He returned to Rent on July 30, 2007, for a six week run, along with original cast member Adam Pascal. Rapp and Adam Pascal continued in their return to Broadway's Rent through October 7 at the Nederlander Theatre. Rapp and Pascal, along with fellow original cast member Gwen Stewart, reprised their roles of Mark and Roger in a national tour of Rent beginning January 6, 2009. Rapp recently worked on a production of Without You, a one man show based on his memoirs concerning Rent, the death of Jonathan Larson and the death of his mother. It premiered at City Theatre in Pittsburgh. He presented this piece in New York at Joe's Pub on September 29, 2009. Rapp is an advocate in show business for LGBT rights, having first come out as bisexual at the age of 18 to his mother over the phone. 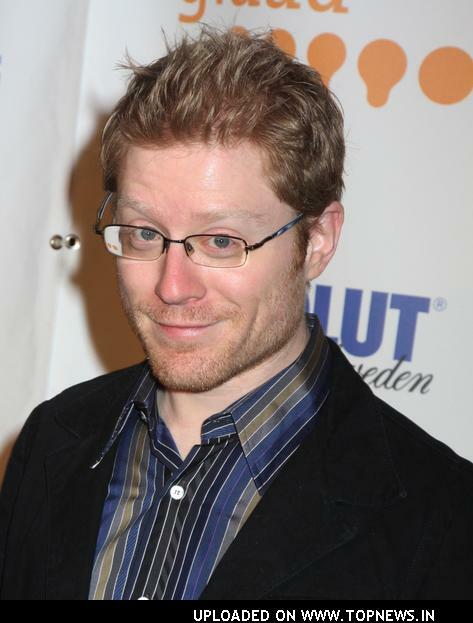 In 2006, Rapp released a memoir about his days in RENT, as well as his mother's struggle with cancer and his experiences growing up, entitled Without You: A Memoir of Love, Loss, and the Musical Rent. It was re-released in paperback on October 31, 2006. Whole or part of the information contained in this card come from the Wikipedia article "Anthony Rapp", licensed under CC-BY-SA full list of contributors here.